The grand finale of the maiden edition of Miss South-South Nigeria 2018 beauty pageant took place on Saturday, February 25 at the Transcorp hotel Calabar, Cross River state. The event took off with a red carpet at about 4 pm and was anchored by on-air personality Fon Bang, before the main show at 6 pm with Kemen of BBNAIJA 2016 and Super Model, Oyebade Adebimpe, as the hosts. There were at least 30 Nigerian contestants who competed for the chance to win some of the fabulous prizes and become role models or brand ambassadors. 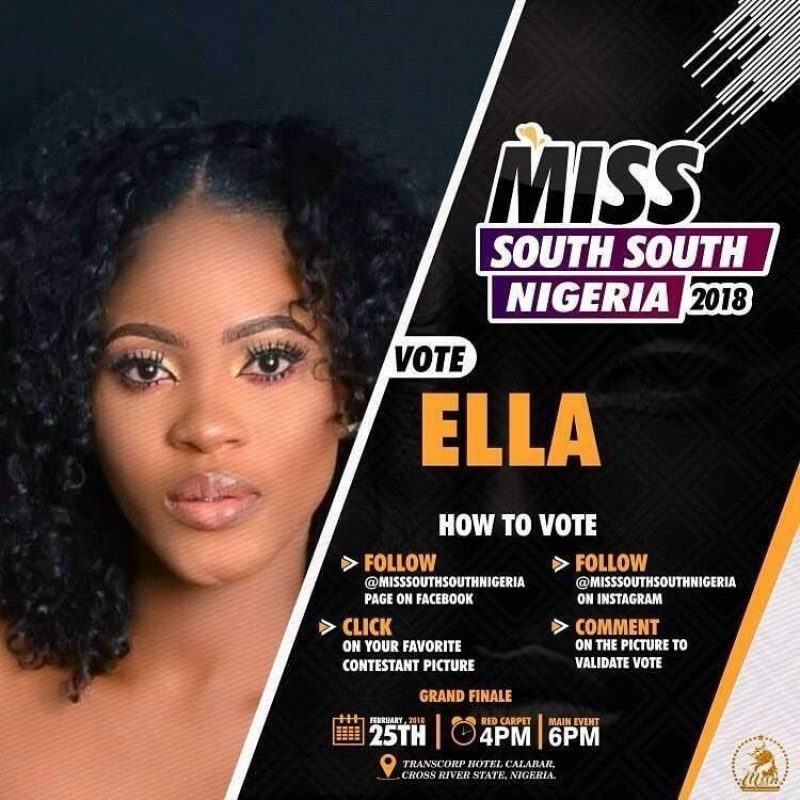 The competition, which initially began on November 24 with an audition, finally came to a conclusion on Saturday when a beauty queen from cross river state named Ella Undie (Miss Agriculture) emerged the winner. Ella went home with a brand new car, prize money of 1 million naira, a Nollywood endorsement and one-year free skin care and make-over. The contest was sponsored by Trey links Nigeria in partnership with Beauty world cosmetics.